Provide comfort for the family of Rosalie Marie Craine with a meaningful gesture of sympathy. 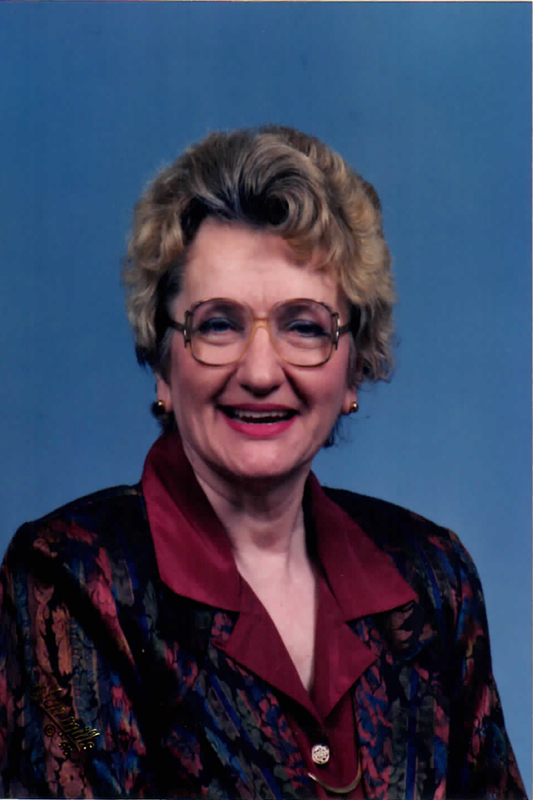 HAYSVILLE - Craine, Rosalie Marie (Bruening) passed away Wednesday, March 13, 2019. She was born April 2, 1932, to Herman Henry and Lillian Verna (Heusi) Bruening in White Cloud, Kansas. She loved to knit, played the flute while in college, gave piano lessons and had a beautiful singing voice. Having this talent, she shared her joy of singing for over 30 years with Sweet Adelines, appearing in local Musical productions, sang with the Wichita Symphony Chorus and was a bell ringer and member of the Haysville United Methodist Church choir. Many of her friendships were made due to contacts in the business and musical world. When she was not working, or enjoying her other hobbies, she was helping her husband with the school bands prepare for performances and taking award winning trips across the country. She worked at the Haysville State Bank as John Trout’s Secretary, Office Manager for Richard Ten Eyck’s Industrial Design Business, the State of Kansas and the State of Illinois. She was preceded in death by her Father, Mother, Brother Marvin and husband Robert Edward Craine . Rosalie is survived by her Daughter Cathy Yvonne Craine Hurley (Ron), Grandson Tim Glenn (Stephanie), Great Grandchildren Cooper Glenn and Carleigh Mae Glenn. Sister Marilyn J. Bruening Wehrman (Raymond), Sister-In-Law Catherine Mary (Craine) Miller, 2 Nieces, 3 Nephews, 5 Great Nieces, 2 Great Nephews and 2 Great-Great Nephews. Memorial contributions may be made to the Haysville United Methodist Church. We encourage you to share any memorable photos or stories about Rosalie Marie Craine. All tributes placed on and purchased through this memorial website will remain on in perpetuity for generations. Provide comfort for the family of Rosalie Marie Craine by sending flowers. We encourage you to share your most beloved memories of Rosalie Marie Craine here, so that the family and other loved ones can always see it. You can upload cherished photographs, or share your favorite stories, and can even comment on those shared by others.